This has been a harsh winter for many, and the sight of spring bulbs blooming, the bright yellow flowers on the forsythia bushes, and a little sunshine on our faces is being welcomed with open arms. While spring gardens are blossoming and growing, farmers and foragers have been busy harvesting the best edibles that spring has to offer. Spring veggies are a stark contrast to the flavours of winter produce like root vegetables and squash - they taste so fresh, earthy, and green. Eat them raw, or only lightly cooked with a minimal amount of sauce or added seasoning to maximize their flavours. I have a deep love for spring edibles, so imagine my delight when I put together my Front Door Organics delivery for this week and discovered I could order a bounty of Ontario goodness! Asparagus, wild fiddleheads, wild leeks (also known as ramps), dandelion greens (also wild), sorrel, and green garlic all made it into my box, and I may or may not have performed a little happy dance when I was unpacking them. 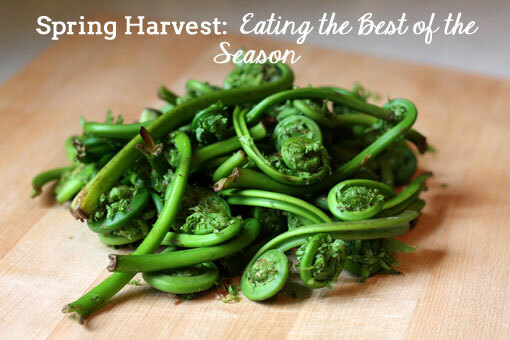 If you’re purchasing wild, foraged foods like ramps or fiddleheads (or doing the foraging yourself! ), make sure that traditional wild crafting methods are followed – only harvest mature plants that are 5-7 years old, and take no more than 5% of the patch. Here are some reasons to take advantage of these highly nutritious, super tasty spring plants while they’re available, which isn’t for long! As ostrich ferns come back to life after a long winter’s rest, the unfurled fronds, known as fiddleheads, are harvested. They are a rich source of potassium, antioxidants, and essential fatty acids and taste like an earthy mix of asparagus and beans. Trim the tail, wash well in cold water, removing the brown papery pieces, and lightly steam or boil before sautéing if desired. They’re delicious with garlic, lemon, or vinaigrettes, and work well tossed with pasta too! Wild leeks have a slender stalk, and tender green leaves that don’t really resemble the domesticated leeks that we find in stores. They also have a strong flavour that tends to stand out in dishes, and make an amazing pesto, which can be used in risottos, pasta, or on pizza! The pesto is also great thinned out to use in sauces and dressings. 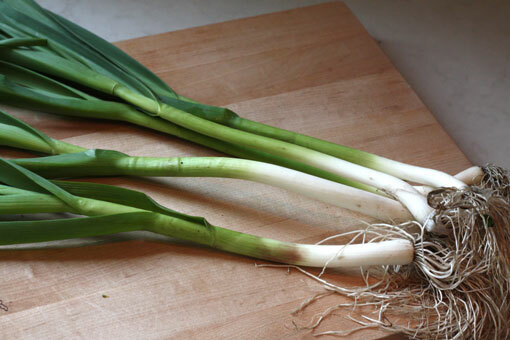 Use the white stalks as well as the tender leaves in cooking dishes, and pesto, or pickle and preserve the bulbs alone. 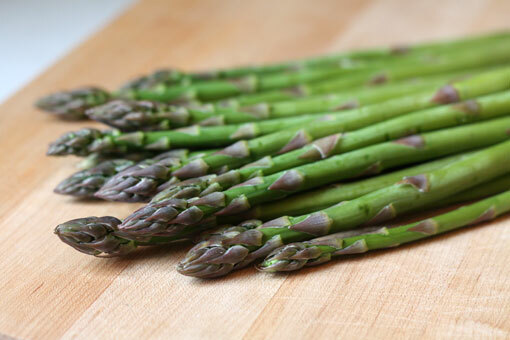 Despite its low calorie content, asparagus is a vegetable that is rich in protein! 1 cup contains around 24kcal, half of which come from its protein content. Asparagus is also rich in potassium, folic acid, vitamin K, vitamins C and A, and some B vitamins, along with iron and fibre. Wash it well under cold water to remove any grit from the tips in particular. Although it's often steamed, I think asparagus really shines when grilled or roasted! Regarded as a pesky weed by gardeners and lovers of pristine lawns, dandelion plants are incredibly nutritious! 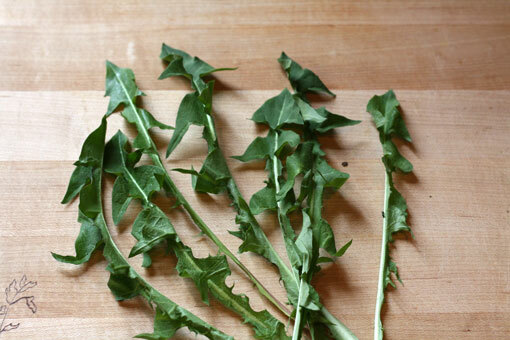 The carotenoid content of dandelion greens is so high that it has an even higher vitamin A content than carrots. Dandelion greens are an excellent source of vitamin C, iron, calcium, some B vitamins, and copper, along with other vitamins and minerals. Both the greens and the roots are known to be a rich source of medicinal compounds that can improve liver function, help control blood sugar, and possess diuretic effects. 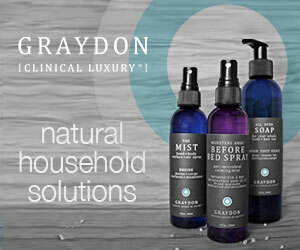 They are also often used as a digestive tonic. 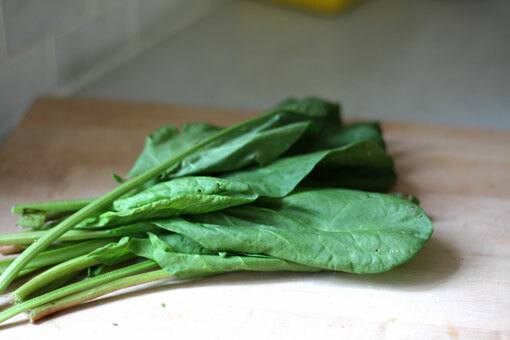 Add the raw leaves to a salad, juice them, or lightly saute with garlic and onion. Try adding in some of these tart, lemony leaves the next time you’re making a salad! They’re quite tender, and taste best raw, but you could also puree them and add to dressings, or to garnish soups and other cooked dishes. 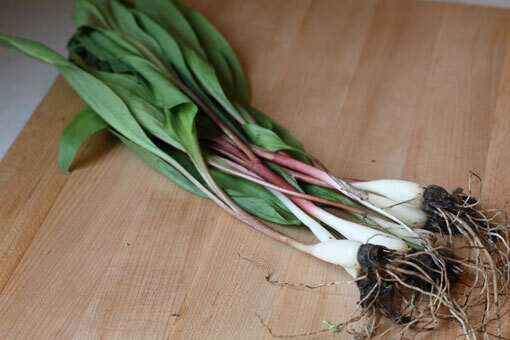 As farmers thin their fields making room for garlic bulbs to swell, and mature, they pull out the whole, immature plants known as green garlic. While they look a lot like green onions or scallions, they definitely taste like garlic, albeit a little milder especially when cooked. Use them in any recipe that calls for garlic, and trim off the tougher parts of the green stalk. They are delicious when grilled, used to make a pesto, or sautéed with other vegetables. Break up your routine and grab some of these spring vegetables. Your taste buds will thank you!